Based on your feedback I tweaked my MotD system. Each week (beginning on Fridays) has its own theme. 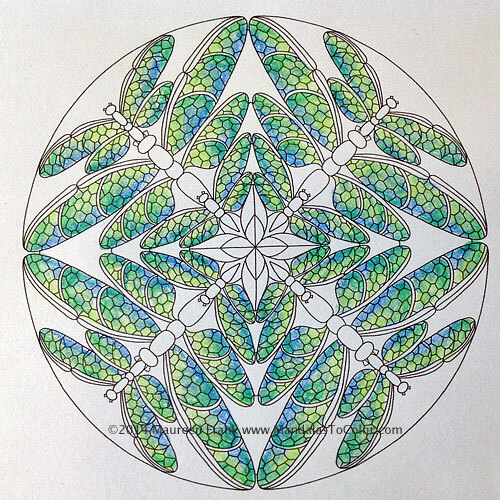 On Sundays, I create a simple mandala design based on the theme which you can then download to color for yourself. Thursdays I showcase one of your colorings of that mandala or my own coloring of it (if I have yet to receive any of your colorings). Via my contact page, feel free to suggest a theme you’d like to see. I’d love to hear from you. I selected each mandala of the day as the spirit moved me. As I spotted images that inspired me, moved me, or caught my eye, I showcased them. While I kept away from any kind of order, I did my best to mix up the images to present them in a more random order. those of us who love to create them, those of us who love to create them, and those of us who love to see them in a variety of ways…from the obvious to the obscure. Follow this Blog (see below) to keep up-to-date on the latest MotDs.